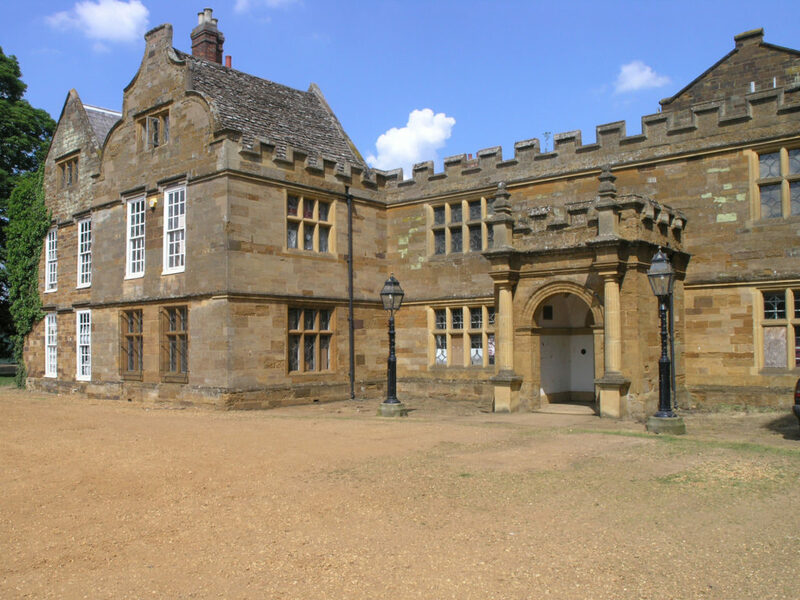 Woodhead’s specialist conservation team, Woodhead Heritage, were appointed to carry out the conservation of Delapre Abbey in Northampton. 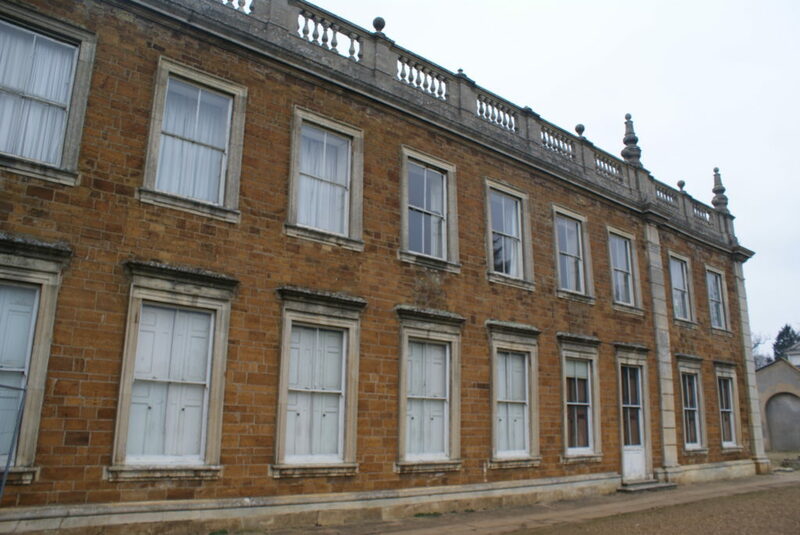 The 16 month project will see Woodhead undertake restoration works on the Grade II* listed Delapre Abbey and also associated out buildings. Stone Masonary including, Stone replacements, Window Heads, Window Jambs, Raking out and re-pointing. In addition to the conservations work, a new conservatory is to be built, linking the Abbey to the Billiard Room. 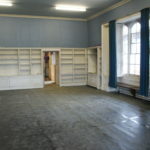 A kitchen will also be built to provide catering services for functions taking place at the Abbey. 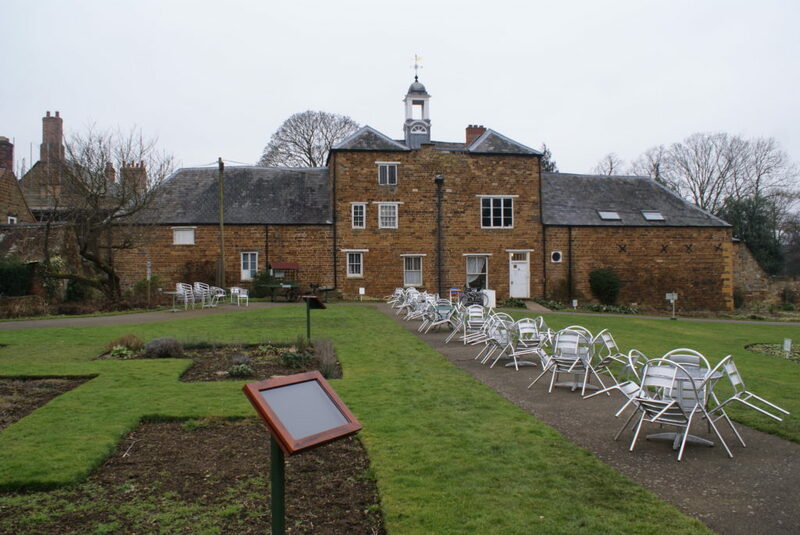 The project, funded by the Heritage Lottery Fund (HLF) and other contributers will culminate in the building being open to the public in summer 2016 for the first time in the site’s 900-year history. To date the groundworks to the basement are progressing well. 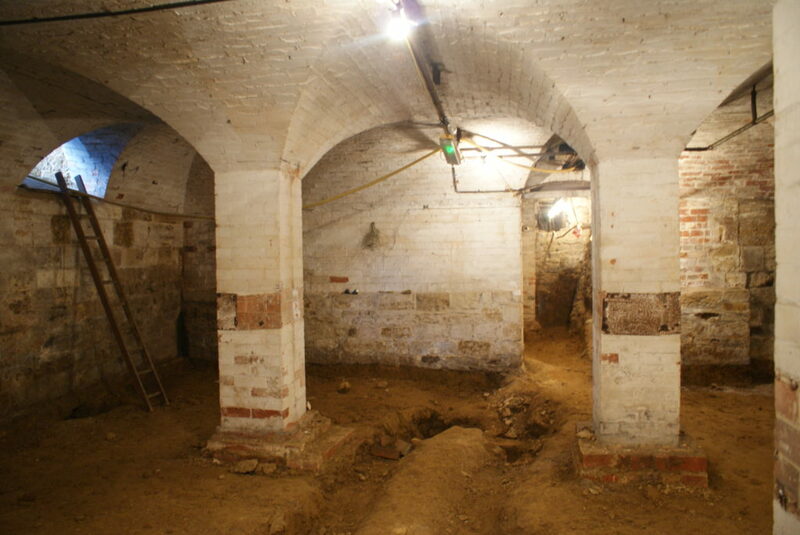 Loose rubble has been cleared, level reduction is close to completion, and underpinning is complete. Masonry works to the north elevation are almost complete, and pointing works across the building have advanced well. Window works to the north range have been completed, and the joiners have now moved on to progress the windows on the south elevation. Internally, the removal of existing mechanical & electrical systems is close to completion. 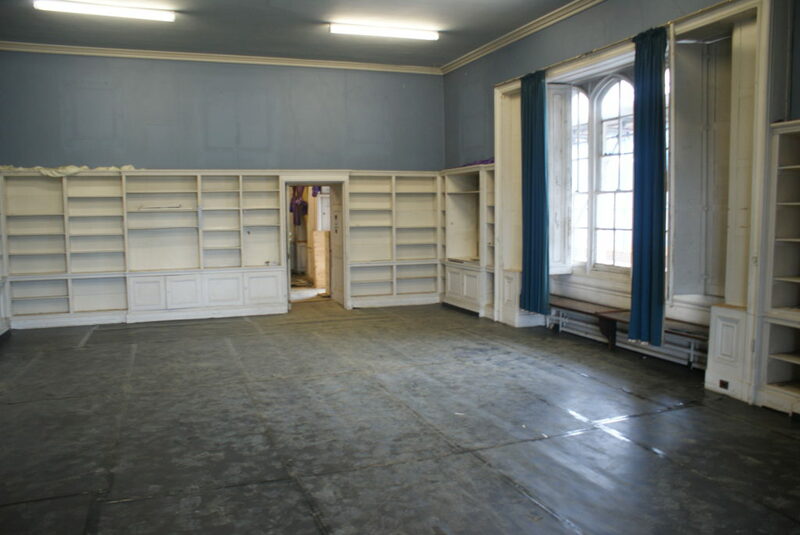 A significant quantity of the demolition and alterations works have also been completed. Unexpected brick features have been discovered in the area of the old conservatory. Initial thoughts of the archaeologist are these are the remains of a water feature. 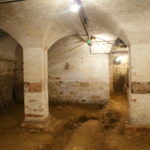 Solution: Underpinning to the basement has been a large structural risk to the project and has required careful management and monitoring to ensure the structural stability of the south east parts of the Abbey remains sound. This also enables the basement to accommodate a new plant room within it. Solution: This project involves working in a live public park on a significant historical landscape. 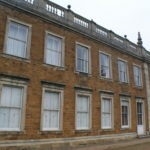 At the southern end of the Delapre estate lies Delapre Woods (adjacent to the project site). The site access and egress on a single track road is lined with significant greenery, therefore weight restrictions have been imposed on vehicles to protect the landscape from damage, in particular tree roots which have grown beneath the access track. 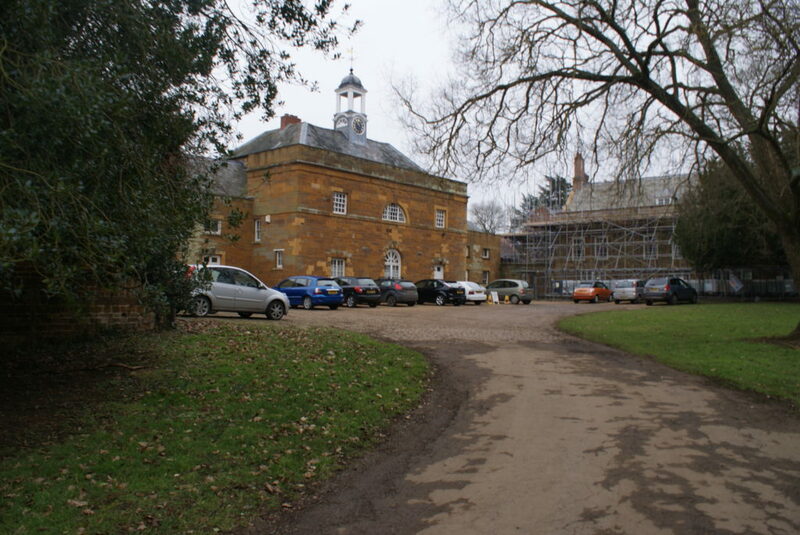 Challenge: Live site – Ensuring project works do not clash with the live events taking place at Delapre Park. 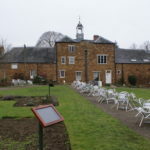 Solution: With the public park holding a number of live events, it is important that any deliveries do not clash with the set-up of the events taking place, such as the beer festival, and ‘Alive at Delapre’. 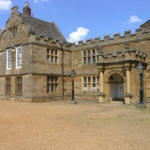 Regular contact between Woodhead and Northampton Borough Council enables Woodhead to schedule works at a time that does not conflict with the events. Open Evenings – Woodhead carried out periodically throughout the duration of the project to update interested parties and stakeholders with how the works are progressing. This also allows the aforementioned a chance to meet the team and designers and ask any questions such that they feel part of the project. Open Weekends – This takes place over a full weekend and is carried out periodically throughout the duration of the project to allow the local community to see the works for themselves. 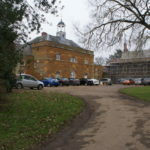 Local Primary School Involvement – A number of local primary schools have visited the site to carry out filming of the Abbey , including interviews with site management and contractors. Local College Involvement – Woodhead have offered a number of local colleges the opportunity to gain work experience with trades and site management to aide in students getting some hands on experience within the construction industry, more specifically the trades in which they are studying. Interpretation of the hoarding – Woodhead have painted specific areas of the hoarding in white to allow local artists to showcase their artwork relating to the project. Local Councillor Visits – The project forms an important part of the Councils ‘Northampton Alive’ programme of regeneration, and it is important that the council are able to see first hand how the project is progressing. Woodhead have collaborated with the council to ensure that councillors are able to gain access to the site as and when required, and as a result councillors can keep the local community regularly updated. KPI’s & Local Spend – The project has specific key performance indicators, these focus on local labour engagement. 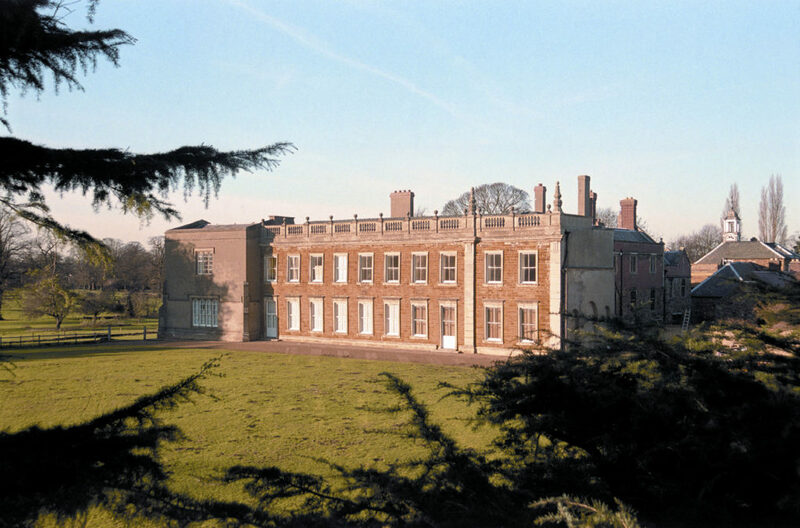 To date we have achieved 70% of all labour within a 25 mile radius of Delapre Abbey. It’s been great working with Robert Woodhead they have made it really easy to be working on a construction site. They are able to facilitate whatever we need to do. We want to make sure the public are involved, we want to hold open days, paint the murals, have children come into the Abbey to do filming, and Robert Woodhead every step of the way have been willing and able to facilitate that, and they can’t do enough to help us.